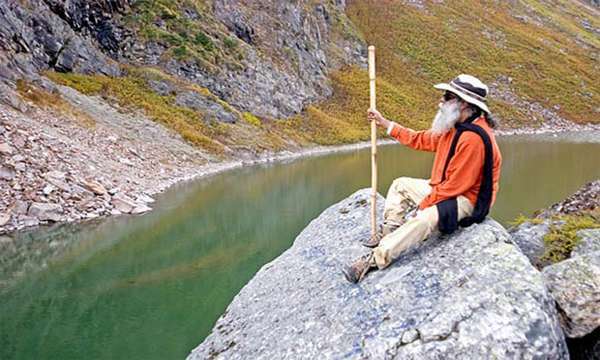 After exploring who Shiva is in the first part of the series “Getting to Know Shiva,” in this part, Sadhguru looks at four significant places where Shiva has spent time, and elaborates on the power and energy of these spaces. Sadhguru: In the yogic culture, Shiva is not seen as a God. He was a being who walked this land and is the very source of the yogic traditions. He is the Adiyogi or the first yogi, and also the Adi Guru, the first Guru. This first transmission of yogic sciences happened on the banks of Kanti Sarovar, a glacial lake a few miles beyond Kedarnath in the Himalayas, where Adiyogi began a systematic exposition of this inner technology to his first seven disciples, celebrated today as the Sapta Rishis. The legend goes that Shiva and Parvati lived on the banks of Kantisarovar, and in Kedar, there lived many yogis whom Shiva and Parvati would visit. Many years ago, I used to travel alone for a month or two every year in the Himalayas. The first time I went to Kantisarovar was in 1994. Kantisarovar is the lake that burst out and came to Kedar during the 2013 floods. Today, it is being called Gandhi Sarovar. It is actually Kantisarovar. Kanti means grace, sarovar means a lake. It is a lake of grace. When I got to Kedar after a long trek, I heard about Kantisarovar, so one afternoon, I set forth around 2 or 2:30pm and got there in a little more than an hour’s time. There was the lake and snow-capped mountains around it. In terms of nature, it is fantastic – this huge lake of absolutely still water, no vegetation and all the snow-covered peaks reflecting in the totally still water. It was an incredible place. I am somebody who always avoided learning the Sanskrit language. Though I like the language very much and I know the depth of the language, I avoided learning it because the moment you learn Sanskrit, you will invariably end up reading the scriptures. My own vision has never failed me in anything even for one moment, so I did not want to clutter myself with scriptures and all these traditions. So I avoided the Sanskrit language. In the Hindu way of life, it is said that Kailash is the Abode of Shiva. It does not mean he is sitting up there dancing or hiding in the snow. It means he deposited his knowing there. When Adiyogi found that each one of the Sapta Rishis had grasped one aspect of the knowing, and he could not find another human being who could grasp all seven dimensions of yoga, that is when he decided to deposit all of it into Mount Kailash so that all seven dimensions of knowing the mechanics of life are preserved in one place and one source. Kailash became the greatest mystical library on the planet – a live library, not just with information, but alive! When a person realizes himself and his perception goes far beyond what is considered normal perception, what he has perceived cannot always be transmitted to people around him. Only a small part of it may be transmitted. It is very rare for any master to find people to whom he can transmit all of himself. So where do you leave all this? You don’t want this to become lost. 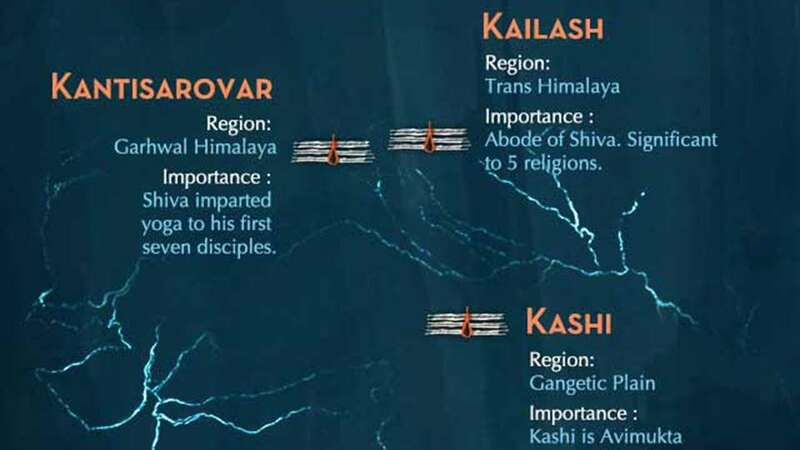 So, for thousands of years, realized beings always traveled to Kailash and deposited their knowledge in a certain energy form, using the mountain as a basis. It is because of this that South Indian mysticism always says that Agastya, who is the basis of this form of mysticism, lives in the Southern face of Kailash. The Buddhists say three of their main Buddhas live in the mountain. 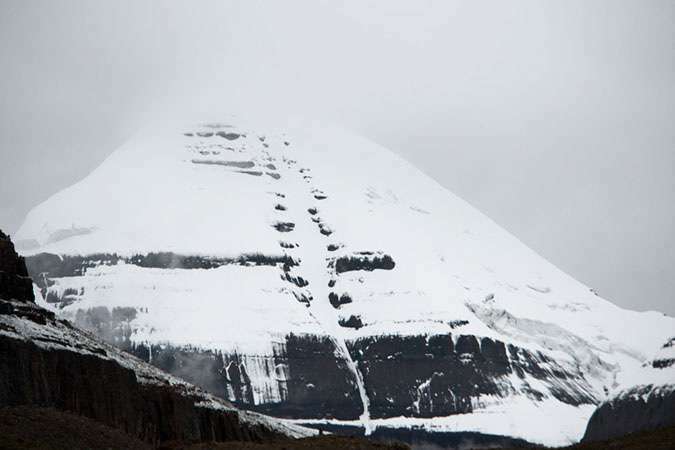 The Jains say Rishabh, the first of the Teerthankaras, lives in Kailash. For a spiritual seeker, Kailash is like touching the ultimate source on this planet. For one who is in pursuit of mysticism, this is the place. There is no other place like this. A downloadable version of the below map is available here. Very close to where we are in South India, we have another repository of mysticism – the Velliangiri Mountain. 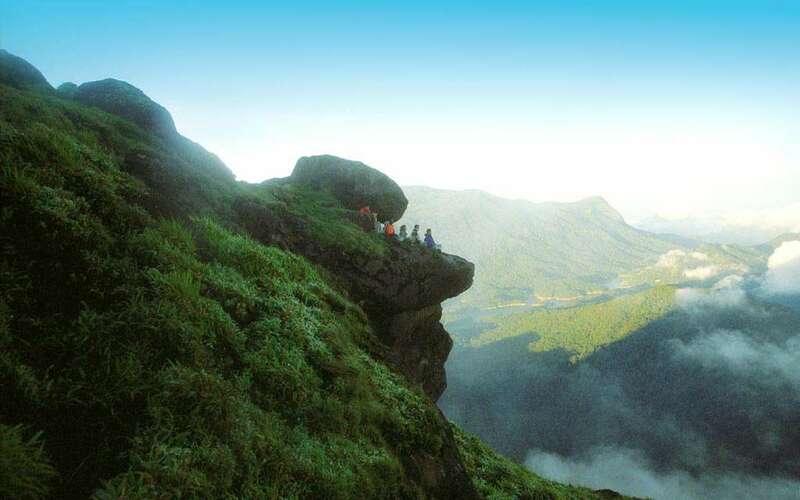 This is referred to as the Kailash of the South. It is a phenomenal space. The biggest heap of knowing is Kailash. But various mystics and yogis in the South used Velliangiri when they wanted to store knowing. Nothing is comparable to Kailash as a library in terms of volume, but in terms of quality, Velliangiri is just as good. The mountain is known as the Seven Hills because if you climb, there are seven undulations that make you feel like you are going up seven hills. The last peak is totally wind-blown – nothing grows there except grass. There are just three very huge boulders that have formed a shelter between themselves that is like a little temple with a small linga. It is an incredibly powerful place. The yogis and siddhas who came down this mountain were completely of a different kind – extremely fierce and intense people. So many beings – the kind of men that gods would be envious of because they lived with such grace and dignity – have walked this mountain. These great beings let the whole mountain imbibe what they knew, and it can never be lost. This is also a mountain where my Guru walked and the place he chose to shed his body. So this is not just a mountain, this is a temple for us. 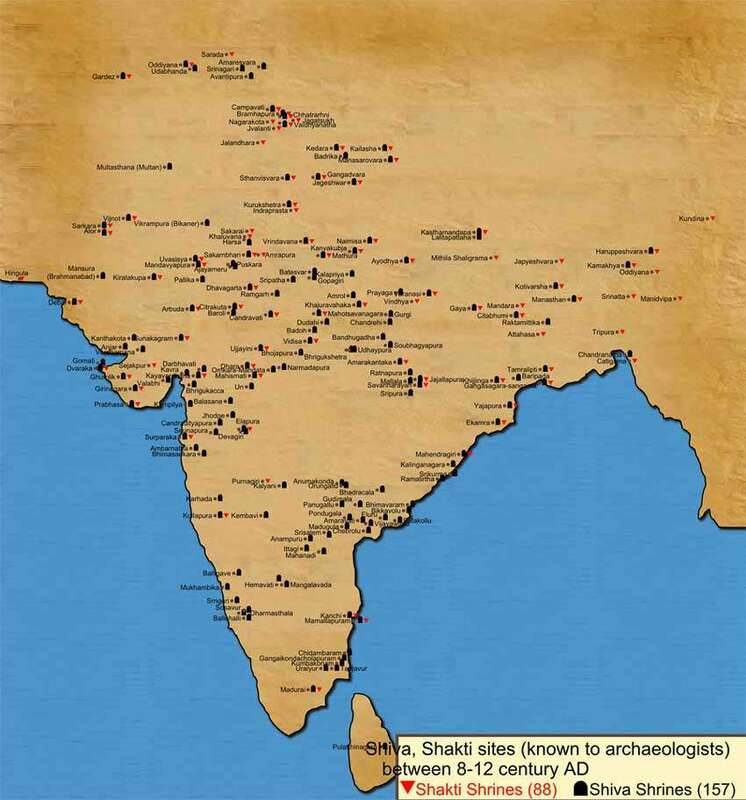 People have been traveling to Kashi from across the world for thousands of years. Gautama came here to give his first teaching. The Chinese travelled here after Gautama’s arrival. Nalanda University – which is recognized as the greatest place of learning – is just a small drop of knowledge that fell out of Kashi. All the people that you hear of, like Aryabhata and so many others, came from this region, all generated by the culture that was alive in Kashi. When the yogis saw the nature of the cosmos – as to how it is evolving from within itself, and how its ability to evolve is quite limitless – they were tempted to make their own. In Kashi, they built a kind of instrument in the form of a city that brings a union between the micro and the macro. This little human being can have a phenomenal possibility of uniting with the cosmic reality, and knowing the pleasure, ecstasy and beauty of becoming one with the cosmic nature. Geometrically, Kashi is a perfect manifestation of how the cosmos, or the macrocosm and the microcosm, can meet. There have been many instruments like this in the country, but to create a city like Kashi is a mad ambition. And they did it thousands of years ago. There were 72,000 shrines – the number of nadis in the human body. The whole process is like a manifestation of a mega human body to make contact with a larger cosmic body. 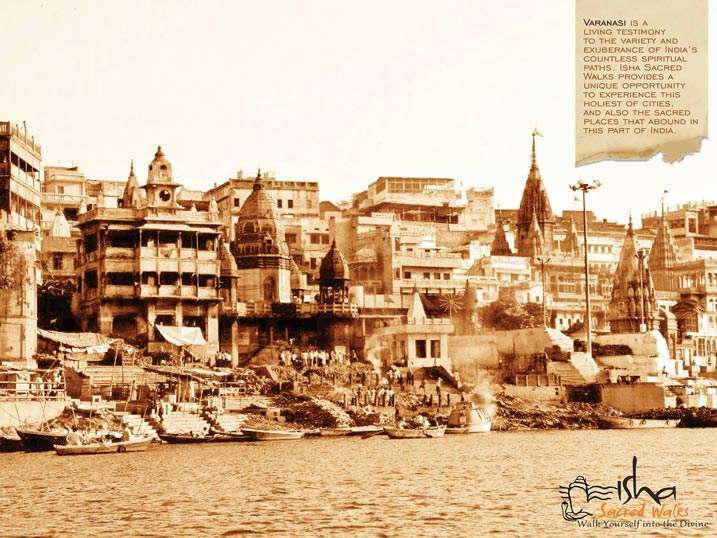 It is because of this that the whole tradition came up: “If you go to Kashi, that is it.” You don’t want to leave the place because when you get connected to the cosmic nature, why would you want to go anywhere else? 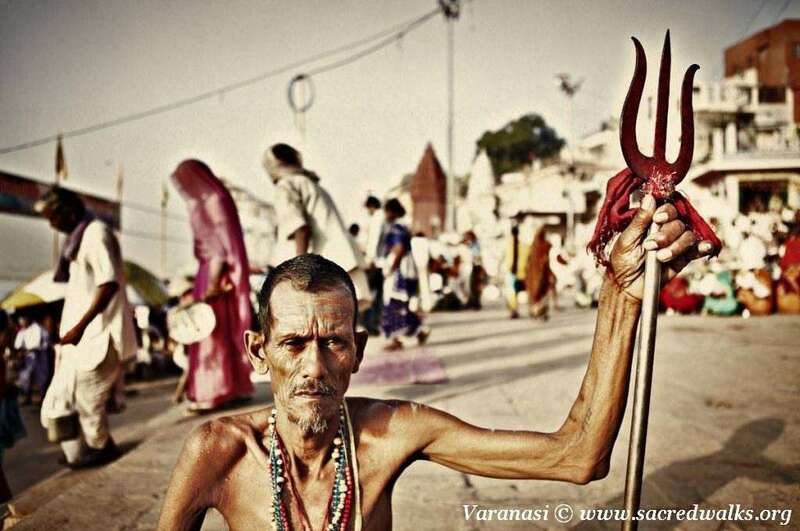 The legend of Kashi goes one hundred percent by the fundamental that Shiva himself lived here. This was his winter place. There are stories about how he sent people to Kashi, one after another, and they never came back because it was so fantastic. But maybe the story is saying that he sent people to build it, and they took a long time. After it was built, he came and he liked it, and decided to stay. In the last few centuries, Kashi was razed to the ground thrice. How much of it is alive today is a question mark, but definitely something is still on – it is not all gone. It is a misfortune that we were not alive when it was in full glory. It must have been the most phenomenal place to have drawn people from across the world. We have survived the past, but the question is, will we survive the future? When I say “we,” I am not talking about a particular religion. I am talking about those populations on the planet who are willing to look at life the way it is, not trying to impose their opinion on someone else. The world does not need dogma, philosophies or belief systems. What it needs is for human ability to be able to perceive something that is right now considered “beyond.” This is the only way a human being will know. This is the only way human consciousness will expand. This is the only way a human being will evolve beyond the narrow divisions that have happened in human societies.